I’m a sucker for lemon meringue pie. 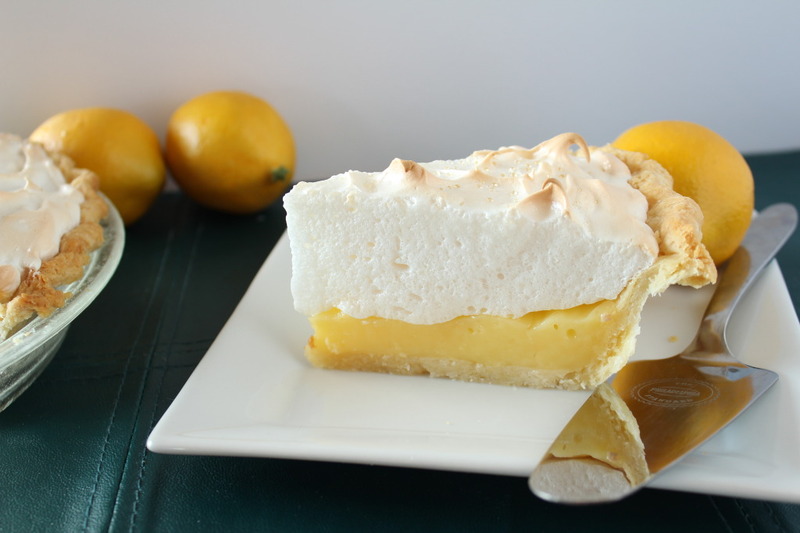 I love the tangy flavor of lemon in just about anything, pie included. Plus, I really like pies that have a blind baked (or baked before the filling is added) better than other pies. Plus lemon meringue pie is GORGEOUS. I made this lemon meringue pie for Thanksgiving last year. I loved how it turned out. It was awesome. Pie is a must for Thanksgiving. And this one is refreshing, not just super heavy, like, say a pecan pie. 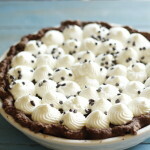 You don’t need a glass of milk after eating this pie. You can just lay back and pretend there aren’t any dishes to do and take a nap. Some tips on this pie. As you can see in the photo this recipes make a lot of meringue. I like it that way, but just be prepared. 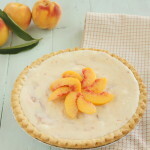 You’ll notice that the meringue recipe uses 3 egg whites, but the filling uses 4 egg yolks. That is going to cause some OCD folks a major meltdown, and I’m sorry. But you really don’t need any extra meringue. 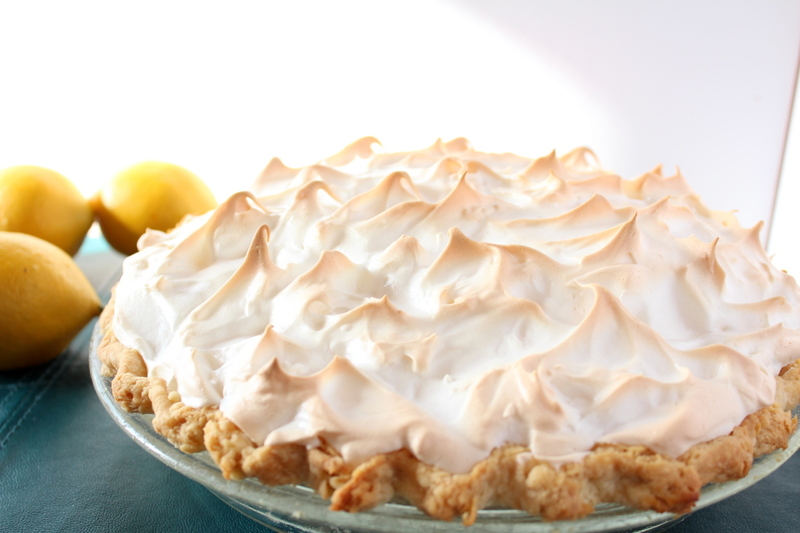 This meringue is special because it is less prone to weeping and pulling away from the crust. Adding the corstarch/sugar mixture stabilizes the meringue. So it really is worth the extra effort, rather than just whipping your egg whites with some sugar. Make sure when you are making your meringue that the bowl and whisk are completely clean and have no trace of oils on them. Also you must be very sure none of the yolk makes it into the white, or you will not have meringue. But frustration, you will be the proud owner of that. Make sure you spread the meringue until it touches the pie crust on all sides. This will help it not to shrink away from the crust, if it has something to hold onto. 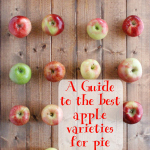 If you need a pie crust recipe, why not use Grandma Lounsbery’s. It’s my favorite! And here’s a tip on getting a flaky crust. I think this will be my last recipe before Thanksgiving. I hope everybody has a wonderful Thanksgiving and that you get to spend time with your family and loved ones! In a small bowl, whisk the egg yolks. Set aside. 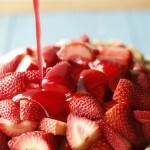 In a medium saucepan, whisk together 1 cup sugar, flour, cornstarch. Stir in the milk and water. Cook on medium high, stirring constantly until mixture just comes to a boil and thickens. Stir in lemon juice and remove from heat. Slowly pour about a half cup of the hot mixture into the egg yolks while whisking to temper them. Then add another half cup of the hot mixture into the eggs. Continue whisking. Add one more half cup. The bottom of the egg yolk bowl should be warm to the touch by now. Pour the egg yolks back into the saucepan. Return to medium heat, stirring constantly. Cook until it returns to a boil and thickens. 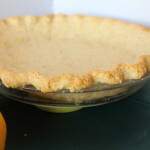 Remove from heat and pour into baked pie shell. Let it sit out at room temperature while you make the meringue. In a small bowl mix together the corn starch and 2 tablespoons sugar. Add a few tablespoons of the 1/2 cup water to make a slurry and dissolve the corn starch without creating lumps. In a small sauce pan combine rest of the water, and the corn starch mixture. Cook over medium heat until the sugar has dissolved. Remove from heat. In a large mixing bowl, beat the egg white and cream of tartar and salt until it is foamy. Add vanilla. Turn mixer to high and beat while gradually adding the sugar. Turn the mixer to medium and slowly drizzle in corn starch mixture. Turn mixer to high and beat until stiff peaks form. Spread over top of cooled pie and seal to the crust. Brown pie in 350 oven for about 10 minutes or until the meringue is golden brown. I hope you’re bringing all of these recipes on Thursday!